Providing exceptional comfort through the supportive foam that contours to your body to ensure the perfect night's sleep. Dreaming of drifting off to sleep on a cosy new memory foam mattress? Now you can do just that with our wide variety of memory foam mattresses. 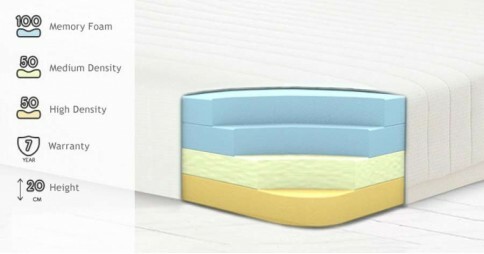 Built upon multiple layers of optimised foam, our memory foam mattresses are made with comfort and support in mind. If you demand exceptional comfort and support for your body as you sleep, then a memory foam mattress is the ideal choice. The memory foam layer contours your body to restrict moment of aching limbs as your sleep, while dual layers of medium and high density foam help to boost the support given to your back and side as you sleep. Our memory foam mattresses come with a number of other innovative features to help you sleep. 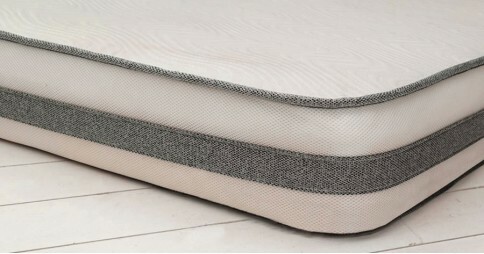 A Luxurious Cover - Each memory foam mattress comes complete with a luxurious soft knit fabric cover. The fabric is breathable helping to your mattress fresh. Specialist Bug Guard Technology - We use specialist bug guard technology on our memory foam mattresses to help prevent the buildup of dust mites on your mattress, helping your mattress stay cleaner and fresher for longer. 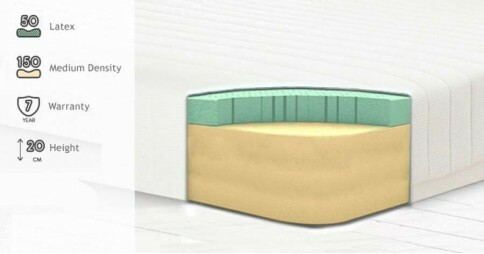 Comfortable Memory Foam Layer - A layer of memory foam is spread evenly across our memory foam mattresses to ensure even coverage and to ensure that your level of comfort is consistent across the mattress. 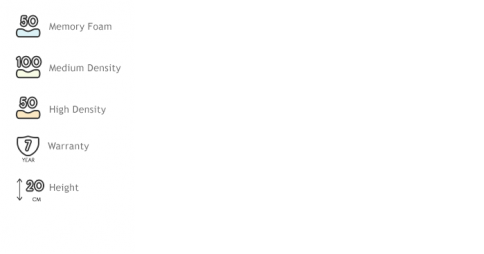 7 Year Guarantee - As we are supremely confident in the comfort and durability of our memory foam mattresses, we are able to offer a 7 year guarantee with most mattresses in our range. A memory foam mattress would make the ideal accompaniment to a new wooden bed frame from Get Laid Beds. We have a great range of styles on offer, and popular beds ordered alongside this mattress include our Four Poster Bed - Classic and our Low Modern Bed. Why not get the full Get Laid Beds experience and give your mattress a durable and stylish frame to rest upon?